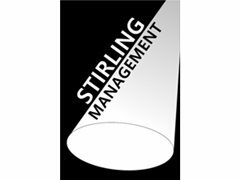 We at Stirling Management Actors Agency are always on the lookout for fresh & exciting adult talent! Specifically looking for male and female actors who have the availability to travel to auditions anywhere within the UK (usually at short notice). We will invite those we are interested in to come along to our offices in Bolton for an informal chat. Paid : As per booking. If you have what it takes to be represented by a leading actors agency then we would like to hear from you! Spotlight registered actors preferred though we do have training available.